Bill Viola, Inverted Birth (2014), video/sound installation, color High-Definition video projection screen mounted vertically and anchored to floor in dark room. Projected image size: 5 x 2.81 m, room dimensions variable. 8:22 minutes. Performer: Norman Scott. Photo by Kira Perov. 2015년 국제갤러리 개인전을 통해 선보인 바 있는 빌 비올라의 대형 영상설치 작업 <도치된 탄생(Inverted Birth)>(2014)이 2017년 8월 19일부터 11월 26일까지 덴마크의 코펜하겐 컨템포러리(Copenhagen Contemporary)에서 상영된다. 빌 비올라는 비디오아트 매체의 선구자로서 영상의 속도를 인위적으로 늦춰 느리게 움직이는 사람 등을 관찰할 수 있는 대규모의 슬로우 모션 비디오 작품으로 잘 알려져 있으며, 지난 40여년간 시간의 흐름을 완벽하게 시각화하여 현실에 존재하지만 보이지 않는 세계를 사유하게 하는 작업들을 지속해왔다. <도치된 탄생>은 삶, 죽음, 탄생과 부활, 인간 감정의 힘 그리고 존재의 본질을 탐구하는 작품으로 5미터 높이의 기념비적인 크기로 관객들을 압도한다. 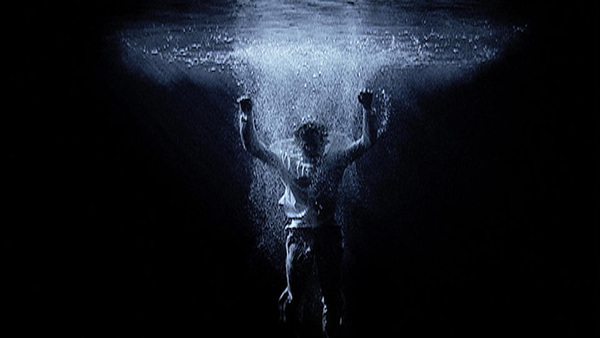 Bill Viola’s large scale video installation Inverted Birth (2014), which was previously showcased in Kukje Gallery for the artist’s 2015 solo exhibition, will be screened at the Copenhagen Contemporary (CC) in Denmark from August 19 to November 26, 2017. Bill Viola is recognized as a pioneer in the medium of video art, known for his iconic, large-scale, slow-motion immersive video works produced over a 40-year career. His series of video works is created by artificially elongating the flow of time and visualizing the world that is pre-existent but invisible to the naked eye. Towering to a monumental height of 5 meters, Inverted Birth explores life, death, birth, rebirth, the power of human emotion and the nature of human existence. 김수자, 함경아, 김홍석은 2017년 8월 19일부터 10월 15일까지 교토예술센터(Kyoto Art Center)와 니조 성(Nijo Castle)에서 개최되는 동아시아 문화도시2017교토: ‘아시아의 회랑’ 현대미술전에 참가한다. 본 전시는 한국, 중국, 일본 출신의 예술가 25인을 초대하여, 창조예술적 시각으로 동아시아의 풍부한 문화를 경험하는 기회를 제공하여 보다 평화로운 사회가 조성되기를 기원한다. 행사의 개최지인 니조 성은 유네스코 세계유산으로 지정되어있으며 건축물과 정원이 복도형태로 구성되어있어 ‘아시아의 회랑(Asia Corridor)’라는 이 전시회의 주제에 영감이 되었으며, 짜여진 동선대로 이동하며 예술 작품을 보다 효율적으로 감상하도록 구성되었다. 김수자는 이번 전시에 거울 설치작품인 <Encounter - A Mirror Woman>(2017)을, 함경아는 2016년 국립현대미술관 서울관의 《올해의 작가상》 전시에 처음 선보인 <Uncamouflage> 시리즈를 소개한다. 김홍석은 첸 샤오시옹과 츠요시 오자와와 함께 참여한 프로젝트그룹 <시징맨>으로 퍼포먼스를 선보인다. Kimsooja, Kyungah Ham, Gimhongsok participate in Culture City of East Asia 2017 Kyoto: Asia Corridor Contemporary Art Exhibition (hereafter Asia Corridor) from August 19 to October 15, 2017, at the Kyoto Art Center and Nijo Castle in Kyoto, Japan. Asia Corridor was organized to design a space for visitors to experience the rich cultures of East Asia through the lenses of the arts in hopes of creating a more peaceful society. 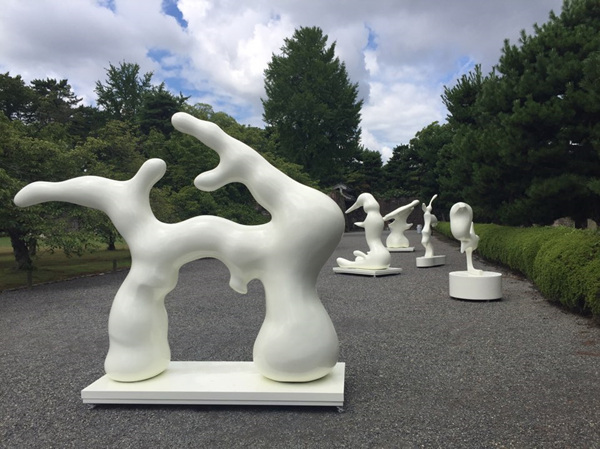 In light of this, the exhibition features 25 artists from three East Asian countries—Japan, South Korea, and China—who are exhibited at the Kyoto Art Center and Nijo Castle, the latter of which is a UNESCO World Heritage site that features architecture and gardens designed like corridors. This arrangement has inspired the theme “Asia Corridor” and allows viewers to see the art by moving in a circuit. Kimsooja is exhibiting her mirror installation Encounter – A Mirror Woman (2017) while Kyungah Ham is exhibiting her Uncamouflage series, which debuted at Korea Artist Award 2016 at the Museum of Modern and Contemporary Art, Seoul. Gimhongsok, together with Chen Shaoxiong and Tsuyoshi Ozawa as the project group ‘Xijing Men,’ is showcasing a performance throughout the exhibition period. 국제갤러리의 빌 비올라는 영국 런던에 위치한 왕립 미술 아카데미의 명예 회원으로 임명되었다. 왕립 미술 아카데미는 영국 국적이 아니지만 미술사적으로 매우 중요한 작가에게 명예 미술 아카데미 회원 자격을 부여하고 있다. 활발하게 활동하고 있는 총 80명의 미술 아카데미 회원들은 매년 최대 두 명의 새로운 회원들을 투표를 통해 선정하며, 아니쉬 카푸어와 트레이시 에민이 선정된 바 있다. 올해 빌 비올라는 키키 스미스와 함께 선정되었다. 빌 비올라는 지난 40년간 인문주의적이고 정신적, 종교적인 주제들을 다루는 영상설치, 음향환경, 전자음악 퍼포먼스와 평면 영상 작업 등을 제작해왔으며 TV, 콘서트, 오페라, 그리고 성당과 같은 종교적 공간에 작품을 설치해왔다. 2017년에는 플로렌스의 스트로치 궁전, 함부르크의 Deichtorhallen, 그리고 빌바오의 구겐하임 미술관 등 저명한 기관에서 수 차례 회고전을 개최하였다. Bill Viola has been made an Honorary Royal Academician of the Royal Academy of Arts in London, United Kingdom. The title of Honorary Academician goes to distinguished artists who do not reside in the UK. The 80 full Academicians, all of whom are practicing artists, vote for up to two honorary members each year—previous members include other renowned artists such as Anish Kapoor and Tracey Emin. Viola is selected this year alongside Kiki Smith. For over 40 years Viola has been making work that explores a series of humanistic and spiritual issues. His works include room-size video installations, sound environments, electronic music performances and flat panel video pieces, as well as works for television broadcast, concerts, opera, and sacred spaces. In 2017 alone he was the subject of several major museum retrospectives including Palazzo Strozzi, Florence; The Diechtorhallen, Hamburg; and Guggenheim Museum Bilbao. 제니 홀저는 2017 년 8 월 4 일부터 11 월 5 일까지 일본의 요코하마 트리엔날레 2017에 참가한다. 여섯 번째로 개최되는 이번 트리엔날레는 “Islands, Constellations and Galapagos” 라는 제목으로 개최되어 상충되는 개념과 현상들이 복잡하게 얽혀 끊임없이 변화하고 있는 세계와, 정체성과 다양성의 본질, 그리고 우리의 미래가 불확실한 상황에서 인간의 용기와 상상력과 창의력이 어떻게 미래의 새로운 비전과 기반 디자인을 이끌어 낼 수 있는지를 탐구한다. 이번 전시는 요코하마 항구 도시 전체에서 일본과 해외의 약 40여 예술가와 단체들의 작품을 선보일 예정이다. 비교적 적은 수의 작가들이 참가하지만, 별과 섬이 별자리와 군도를 형성하듯 점차 연결되는 이 세계의 이미지를 구체화하고, 작가 개인의 작품세계를 깊이 이해하는 기회를 제공하기 위해 한 작가 당 여러 작품들을 전시한다. 제니 홀저는 요코하마의 미나토 미라이 (Minato Mirai) 역과 일부 셔틀 버스에서 <Truisms> 시리즈의 일부를 선보일 예정이다. Jenny Holzer will participate in the Yokohama Triennale 2017 in Japan from August 4 to November 5, 2017. The sixth iteration of the triennial is titled “Islands, Constellations and Galapagos” and will contemplate the world in which conflicting concepts and phenomena are intricately intertwined and constantly in flux, the nature of identity and diversity, and how the courage, imagination and creativity of human beings can be used to derive a new vision and ground design for the future when our future remains uncertain. The exhibition will take place throughout the port city of Yokohama and showcase works by approximately forty artists and groups from Japan and abroad. Many of the smaller-than-usual number of participants will display multiple works, intending to provide a deeper understanding of individual artist’s creative worlds and to embody the image of these worlds gradually connecting like stars or islands forming constellations and archipelagoes. Jenny Holzer will exhibit part of her Truisms series at the Minato Mirai station and select shuttle buses.